I've a question regarding our own blog. Is there any interest to read our accounts of Livinig-History-Events in english? I ask because our events reflect very often real events of the period although really exotic. But they illustrate the period. The costumes are following a lot of sources of the period. Perhaps the photos are usefull for figurepainting. Especially militia and peasants are not often illustrated in the books from Osprey (or if they are, there is often a great lack of knowledge about the garments on the side of the illustrators). SYW is very often the thema of our Events although we have no military reenactment involved (the Museum does'nt like uniformed LH). I don't know if there'll be any interest on this forum but some of my friends may well be interested. I know the page says they are primarily an AWI unit but they do have an interest in the SYW period as well. We decided to translate all new posts in english. Next event will be about the swabian foot in the seven years war. More Facts about the SYW in Swabia. 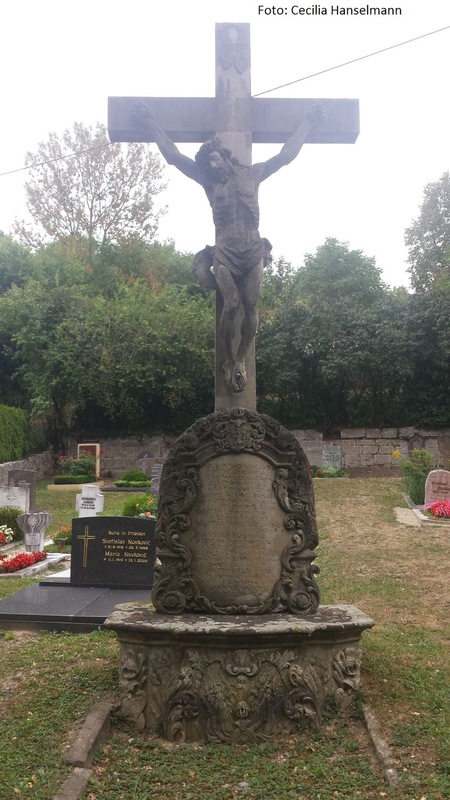 We visited the battlefield of Simbach/Braunau. That means that I run throu the town of Simbach and my Family looked somehow surprised out of our car. Some details about small encounters in Bavaria now available. Please note, that there are labels like "WAS" you can use. 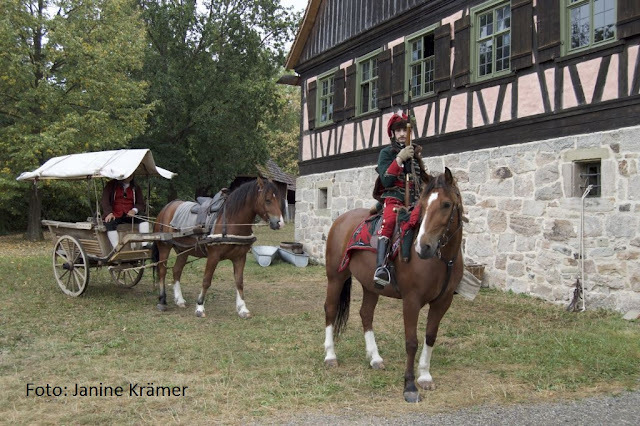 275th anniversary-post about the battle of Simbach. All in German and English. Just use the "1743"-label to find every post about the 1743-campaign in southern Germany. The combat at Übrigshausen was a small skirmish which brought the Terrors of war into the territory of Hall. Now I managed to write a report of our Event. Perhaps we will get more photos of our "French" later. More about the combat at Übrigshausen with the gravemonument of the Austrian officer, who was killed at this event. A bitter conclusion, but you make a pioneering work, shedding light to some historical events that would have been impossible to be found from other sources! With much respect to your work, I have read through all the pages of your interesting blog! Thank you for sharing all this research with us! We had some problems to post comments in our blog because we feared all the pitfalls of the new DSGVO. It was huge work to delete all the stuff forbidden by the DSGVO on our blog (we deleted http-links for example...). From time to time it's nice to read that our blog is helpfull for the somebody. Next year our focus will be on a combat of the 30-years war and a episode from 1769 including a bit of military stuff. But I hope to write something about the great siege of Freiburg in 1744. Perhaps in another blog.